The advent of Pattanam Shah into the artistic filed was through theater. He liberated the exaggerated sensibility in the makeup work of professional dramas of yesteryear and hence he is known as the pioneer in the modern theater make up of Kerala. He has already entered the hall of fame by winning the Kerala State Film Award for best make up in 2006 for the movie Pulijenmam directed by Priyanandan. His noted works include movies like Albbudhadweep, Chanthupottu, Sufi Paranja Kadha, Vasanthiyum Lakshmiyum Pinne Njanum, Classsmates, Achan Urangatha Veedu and Makaraamanju. Harischandra is a PhD holder in "Makeup and costume" and has a PG Diploma In acting. Since last 20 years he is engaged in theatre teaching and practice. He has specialized in the area of makeup and costume, community theatre. On stage he has bagged number of Awards as an actor, makeup artist and director. Lot of reputed journals have been published features about him. He has conducted two international workshops on makeup design. Since 1995 to till date he is working as a guest faculty and teaching theater subjects to nearly 300 students in departments of Osmania University, Telugu University and University of Hyderabad. Nahush pise is a high profile Mumbai based international makeup artist. Nahush trained as a beauty makeup artist in los Angels 12 years ago. Has worked expensively in the fashion industry, top advertising brand and movies (Kahani 2 (2016), pisasu (tamil) (2015), Krrish (Mask) 2006, Krrish 2 (Mask) (2013), Ravana (Maniratnam), Guzarish (Sanjay Leela Bhansali), Dhoom2, Lakshya(Farhan Akthar), Anaigan (Tamil) 2014) and has also worked on high profile fashion advertising campaigns. Nahush is now a highly sought-after makeup artist in the aec of wedding, fashion industries and advertisements. As a freelancer professional, he involved in numerous roles such as: makeup designer, makeup and hair consultant, idea creation to makeover rendering artist, resulting in a well formulated makeover solutions. Meera Murali is a Make-up artist as well as an experienced Hair Stylist. She also does Mehendi Designing. She is working in various television programmes in Mazhavil Manorama such as Made for Each other, Minute to Win it etc. Eby Biju has a proven career history. She has a Diploma in Cosmetology from VLCC and Graduation in Commerce. She as an entrepreneur in beauty and cosmetic field which helped her to enhance her knowledge and skills. 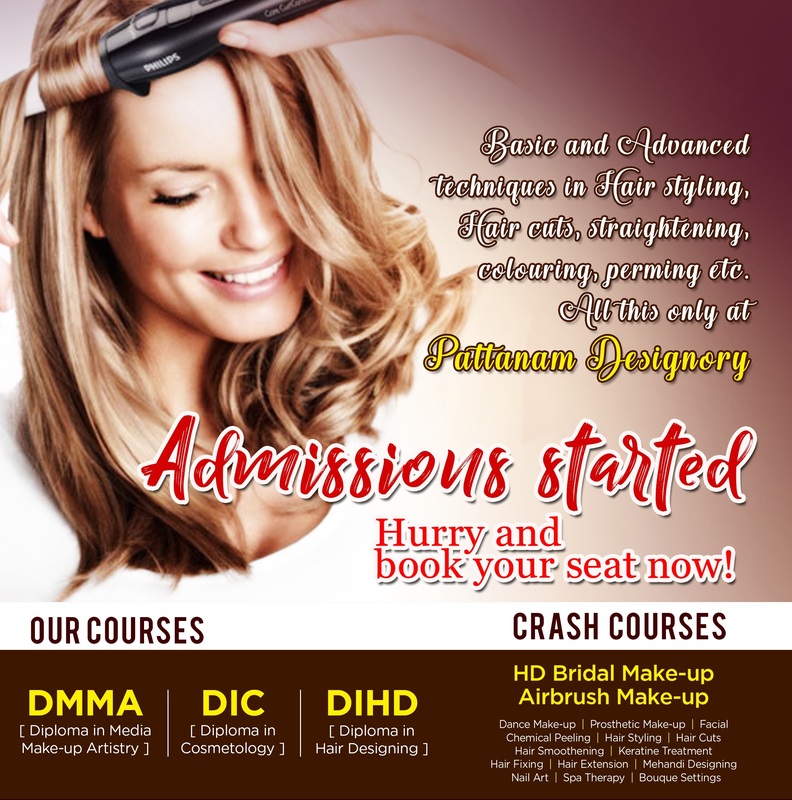 She had a vast experience as beauty faculty. 2 years in AURA, 2 years in VLCC and 4 years in Pattanam Designory. International Professional Makeup Artist with over 25 years experience Certified teacher by STPS and SEP government offices in Mexico. Specialized in education Cecilia has graduated over 500 students and has taught courses in more than different cities around the world such as Krakow, Toronto, NY, Chicago, L.A, Dallas,Orlando, San Salvador, Guatemala and many other in Herative Mexico. In January 2012 she founded the first INGLOT Makeup School in Mexico D.F, working as Director and Senior Educator until August when she moved to Florida. She also developed makeup and image programs for Max Mara, Elite Model Look Mexico, Swarovski, Daniel Espinoza, Inglot and Hunters America among others. Published author who has collaborated with the fashion magazines Harpers Bazaar, Glamour and Fashion Box. Rupasree Naik is the director of the stars India Cosmetics Mumbai. She is in the field of professional make up since 21 years. She is the Faculty of Stars Institute and has been trained under Sri Panhari Juker. She has her own unique combination of make-up theory and practical knowledge. Jo Rego is a Renowned Hairdresser & a National Technical Director. A prominent and well known hair stylist from Dubai, Jo Rego has been the head stylist with one of Dubai&apos;s most renowned salons for many years. She has in the past, been associated and trained extensively with Loreal and Kerastase at workshops all over the world. She has also trained with Tony & Guy (London) and Patrick Cameron (London), A sworn Kerastase professional for years she was immediately convinced about the merits and superiority of Amazon Keratin treatment after observing and experiencing the amazing results and converted to become their Technical Director and Educator for India. Up-styles, color corrections, hair care, treatments for damaged hair, temporary color highlights, and hair cuts for the appearance are some of her outstanding proficiency.